We know what we're getting here in North America on September 18 and how much it will cost us, but what's on the inside? Here's the technical details on Nintendo's most powerful game console yet. Size: Approximately 1.8 inches high, 10.6 inches deep and 6.75 inches long. Storage: Wii U uses an internal flash memory (8 GB with the Basic Set; 32 GB with the Deluxe Set) for data storage. It also supports SDHC memory cards and external USB storage. 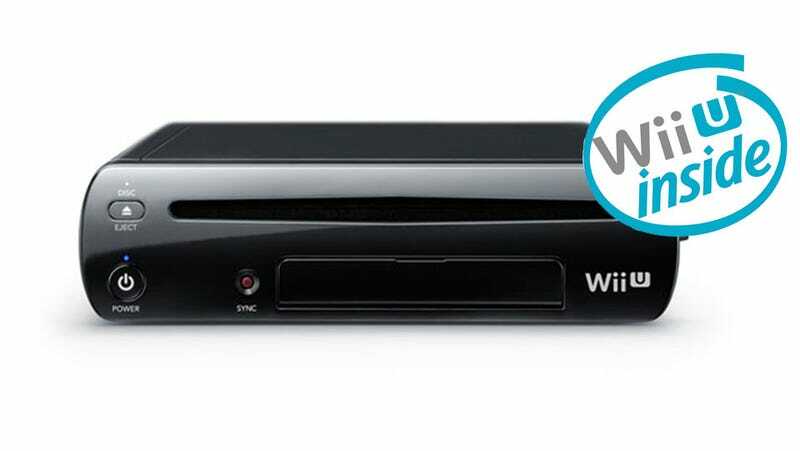 Media: Wii U and Wii optical discs. Wii U optical discs have a 25 GB data capacity. Networking: Wii U can be connected to the Internet via a wireless (IEEE 802.11b/g/n) connection. The console features four USB 2.0 connectors – two in the front and two in the rear – that support Wii LAN Adapters. Audio Output: Uses six-channel PCM linear output via HDMI connector, or analog output via the AV Multi Out connector. Video Output: Supports 1080p, 1080i, 720p, 480p and 480i. Compatible cables include HDMI, Wii D-Terminal, Wii Component Video, Wii RGB, Wii S-Video Stereo AV and Wii AV. Energy Efficiency: Wii U utilizes specially designed power-saving features to lower its energy consumption. Wii Compatibility: Nearly all Wii software and accessories can be used with Wii U. The Wii U GamePad controller removes the traditional barriers between games, players and the TV by creating a second window into the video game world. It also offers a new way for viewers to engage with their favorite entertainment. The GamePad incorporates a 6.2-inch, 16:9 aspect ratio LCD touch screen, as well as traditional button controls and two analog sticks. Inputs include a +Control Pad, L/R sticks, L/R stick buttons, A/B/X/Y buttons, L/R buttons, ZL/ZR buttons, Power button, HOME button, -/SELECT button, +/START button, and TV CONTROL button. The GamePad also includes motion control (powered by an accelerometer, gyroscope and geomagnetic sensor), a front-facing camera, a microphone, stereo speakers, rumble features, a sensor bar, an included stylus and support for Near Field Communication (NFC) functionality. It is powered by a rechargeable lithium-ion battery and weighs approximately 1.1 pounds (500 g). Other Controllers: The Wii U console is capable of supporting two Wii U GamePad controllers, up to four Wii Remote (or Wii Remote™ Plus) controllers or Wii U Pro Controllers, and Wii accessories such as the Nunchuk, Classic Controller and Wii Balance Board.